Clinique is a well known brand with dermatologist-created customized products I'm sure you don't need much introduction to, so I'll get on with my review on this bottle of magic serum named Even Better Dark Spot Corrector & Optimizer. A Gyokuro Tea set (it's different from usual green teas made from sencha, grown in the shade instead of the sun), flowers, and of course the product! 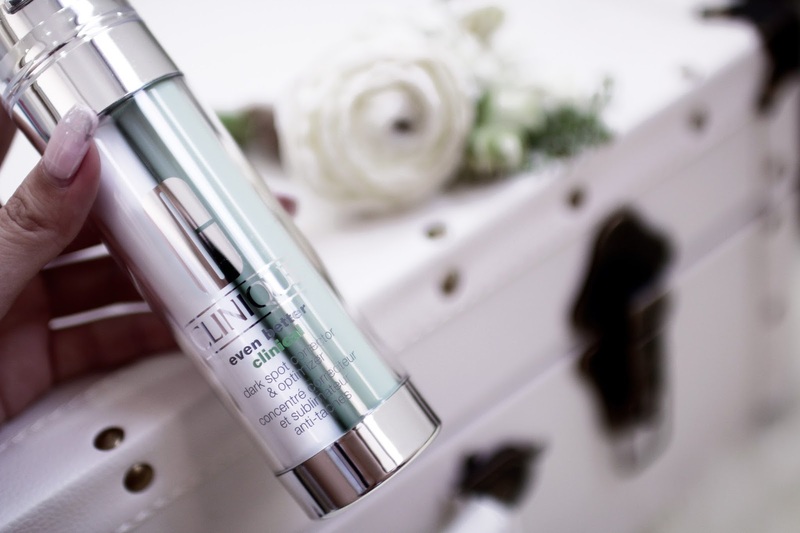 Even Better Clinical Dark Spot Corrector & Optimizer delivers corrective and preventative benefits, allowing skin to look smoother, more radiant, luminous, and with a uniformed tone. My skin did not feel irritated at all, and I've used it together with my favourite jelly mask (that enhances whatever serum I apply beneath it) so although it hasn't been two weeks, I already see results! I don't have dark spots, but I have uneven skin tones. The area under my eyes, and at my laugh lines, are a lot darker than the rest of my face. So thankful I've found a cure! 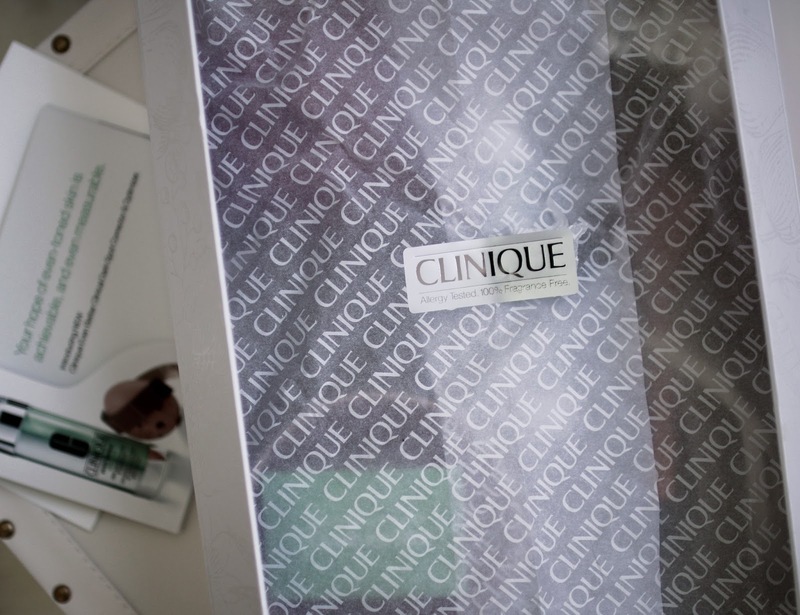 To make Even Better, even better, Clinique has developed an Optimizer infused with a cocktail of soothing ingredients that help prevent irritation caused by environmental aggressors, which can lead to dark spots, uneven skin tone, and dullness. What makes this product special is the Power of Gyokuro Serum with patented CL-302 complex that helps reverse the look of dark spots and blemish marks. 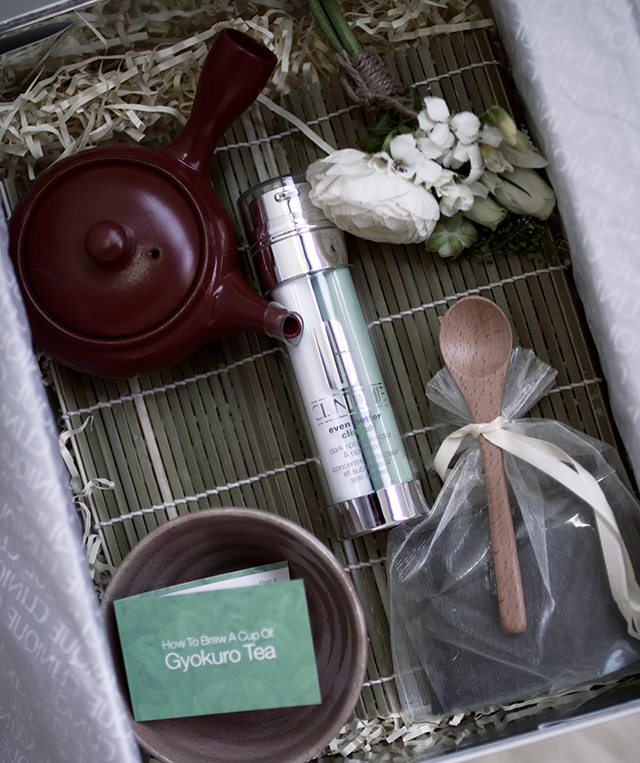 With Japan's most precious and expensive green teas included in the ingredient list, abundant in antioxidants and anti-irritants. 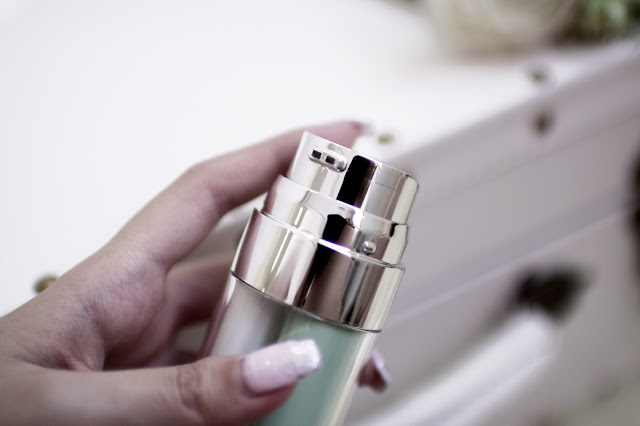 Housed in a custom dual-chamber bottle in order to preserve the purity and potency of ingredients until released with the dual chambered pump. The NEW Optimizing Cocktail includes a key ingredient - Gyokuro Extract which has exceptional anti-irritant benefits, which helps skin resist against future darkening. I'm pretty set on including this in my skincare regime forever and ever... It's nice waking up and seeing my complexion more even and luminous. 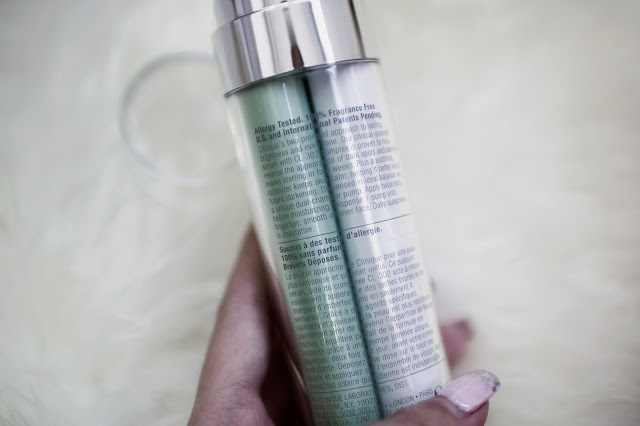 The best part of it is that it doesn't irritate my skin, like I thought it would before trying it out! NEW Even Better Clinical Dark Spot Corrector 8& Optimizer is available at Clinique counters islandwide and all Sephora stores for $135, 50m1.